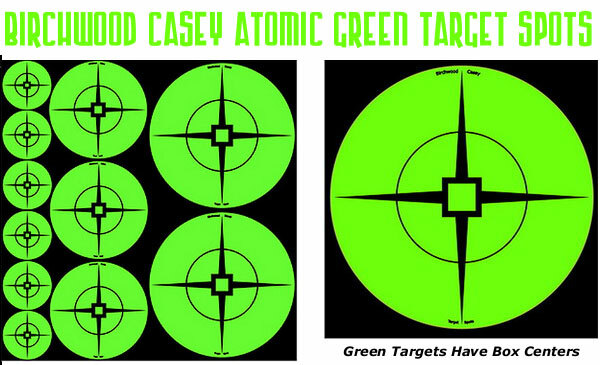 For guys who want an ultra-high contrast target with a square box in the center, Birchwood Casey has released a new series of neon green targets with box centers and spike-style extended vertical and horizontal lines (like on a compass). 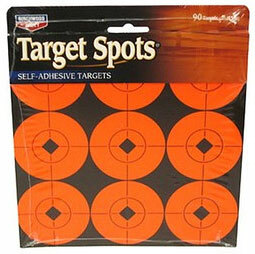 The manufacturer explains: “These newly designed adhesive Target Spots come in highly-visible Atomic Green. The crosshair design fulfills the needs of open-sight shooters along with scope users. Easily line up your open sights on the center square or lay the crosshairs along the vertical and horizontal diminishing lines.” You can also rotate the Atomic Green Target Spots 45° to create a diamond center with the crosshairs in an “X” pattern. Share the post "NEW High-Contrast, Atomic Green Box-Center Target Spots"